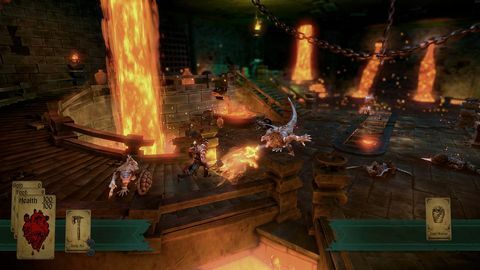 Hand of Fate is a genre-blending title from Brisbane-based studio Defiant Development that was partly funded on Kickstarter in late 2013. Has the Aussie studio come up with the goods? Chris Brown has the deal. What happens when you combine a rogue-lite dungeon crawler, a deck-building game, and the action elements from Shadow of Mordor together? 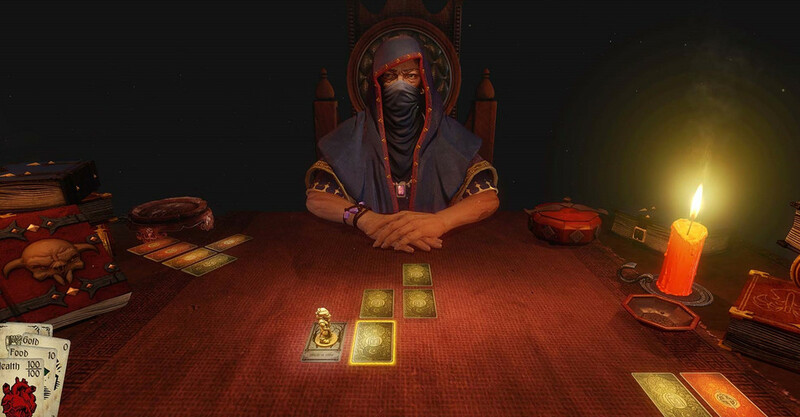 You get Hand of Fate, a mostly entertaining hodgepodge of ideas held together by beautiful presentation and the luck of the draw. 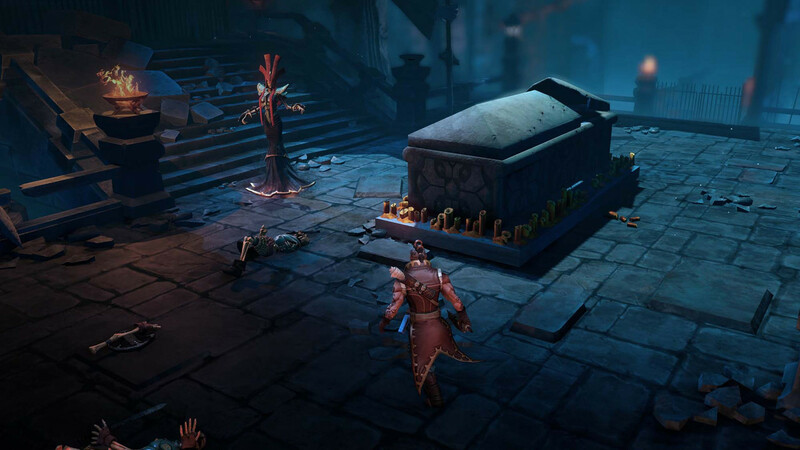 At its core, Hand of Fate is a dungeon crawler. You traverse a number randomly-generated maps, encounter various creatures which either help or hinder or attack you, and pick up incrementally more powerful items to better stave off death in more taxing environs. It’s a design that’s been a staple of games for about as long as there has been an industry, but this is not your father’s dungeon crawler. The folks at Defiant Designs have taken the tried-and-true approach and peppered in more tried and true from other genres, but they have cobbled it all together in a way that is truly unique. Illuminated by a single candle, you’ll initially find yourself sitting across a table from a mysterious stranger known only as The Dealer. He is the narrator, game master, and your primary opponent. Found within his ever-expanding deck of cards are all the encounters, items, quests, and locations that you will discover as you work your way through his call sheet of increasingly powerful enemies. Every level starts the same: you select your deck, and if you so desire you can also select The Dealer’s base deck as well. He will then flavour it with his own special additions, before laying out a rudimentary game map using his cards as grids. As the game progresses, these maps will increase in length and complexity, just as the foes you encounter within become more powerful and more plentiful. To explore a level you move your counter to an adjacent card. This will consume one item of food from your limited supply, and activate the card just landed on. Each card might be a location where you will be tasked with a mini-quest or the choice to explore, an NPC who offers you assistance based on how you respond to their questions, or an such as a weapon, armour, or something a little more exotic. 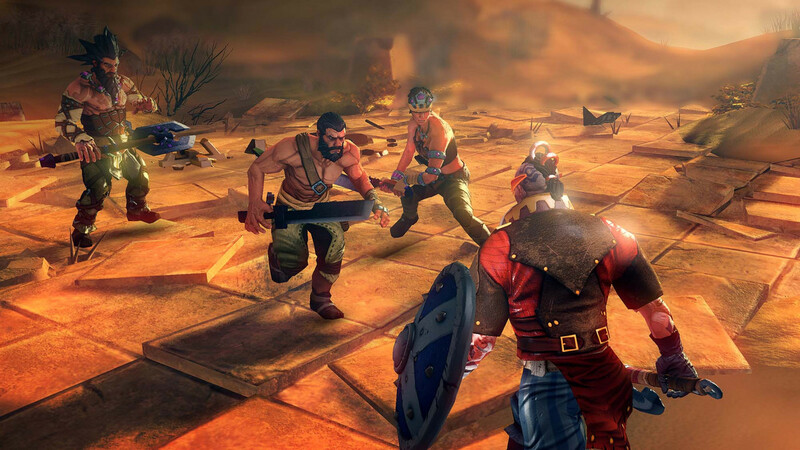 There are also merchants to trade with and various types of enemy to battle. 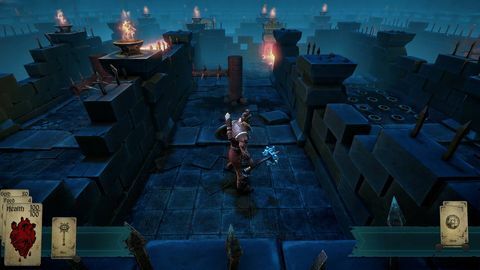 There are a surprisingly large number of unique cards in Hand of Fate, and the random nature of each map keeps things fresh – until the later stages of the game at least. Every level or dungeon offers a different challenge, and while the final bosses start off rather simple, they do become more and more challenging the deeper in the deck you travel. The deck-building side of the game is a little rudimentary. You unlock new cards by completing quests and earning tokens from special cards, and once a level has been completed, these tokens are traded for new cards that you can add to your deck and then your hand for subsequent levels. These cards vary from items to unique events to encounters, and the idea is to stack your deck as best you can to counter anything The Dealer may throw at you. By its nature it’s all very reactive though, and as you have no control over when each card can be played, the ability to actively counter an opponent’s play is absent. That’s a shame – it feels like a missed opportunity to add another strategic element to the metagame. However, Hand of Fate might just be one of the most instantly-atmospheric games this reviewer has ever encountered. The dank, dimly-lit room and single table is suitable dingy, and The Dealer is wonderfully detailed, animated, and voiced. In fact, the presentation of the game as a whole is quite an achievement, and demonstrates not only the talent that Defiant Designs possesses, but also its attention to detail and obvious passion for the project. The cards themselves are wonderfully detailed with an art style reminiscent of adventure game books from the ‘80s and ‘90s, and any fan of Fighting Fantasy or Lone Wolf will see the obvious inspiration painted on the card faces. These touches help to give depth to the game world and move it past its very gamey roots. Sadly, Hand of Fate does lose its lustre after about the midway point. The combat is a simplified derivative of the Batman Arkham system, so the move list is rather limited, and after games like Shadow of Mordor, it feels very shallow. Mechanically it’s sound, but the one area where the lack of budget shows is in the animations for combat. There is a lack of weight behind attacks, and the dodges and counters feel floaty and work against the flow of combat. As the difficulty begins to peak in the final levels, this lack of reactivity reduces the combat to a messy, mashy misfire more often than not. Even so, Hand of Fate is greater than the sum of its parts, not to mention half the price of the aforementioned games at launch. It only really becomes tedious down the stretch, when repetition sets in and the combat grows stale. Until then, it's a unique concoction with a wonderfully lively Dealer and some interesting ideas. Hand of Fate is a fresh take on the rogue-lite genre that starts off flush with unique ideas, but by the final few hands it's out of trump cards. Ups Exceptional visual presentation in most areas. The Dealer is a delight. Initially very compelling. Downs Combat never really satisfies, and in the final stages feels more like a chore. Deck-building feels somewhat gimmicky.